Photographing wildlife can be difficult. Subjects can be hard to spot and they often move quickly. The best advice I can give you is to be prepared. Scout your location ahead of time and visit places you are familiar with. 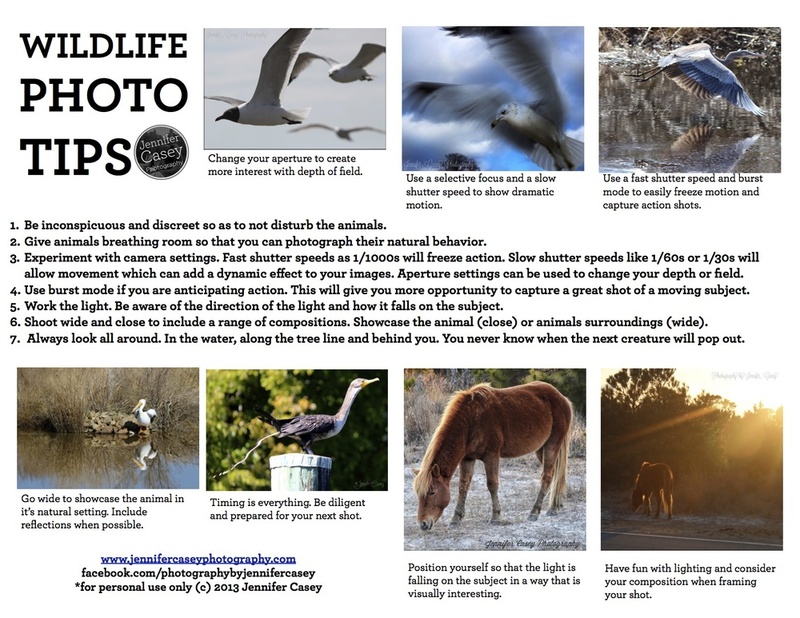 Places where you have experience viewing wildlife. I strongly suggest using a fast shutter speed. It is always better to air on the side of caution, better unnecessarily fast rather than too slow. Shutter speeds that are too slow will capture motion blur and potentially ruining your shot. Also make sure you are using the continuous shot function to have the ability to catch multiples frames. It is the same idea as the shutter speed, it's better to have the ability to shoot multiples even if you might not need it. Think of a bird taking off in flight, continuous mode will mean the difference of 4-5 usable shots vs 1-2 in single shot mode. Fast shutter speed and continuous shooting mode is perfect for walking around when you don't know when a creature may appear next. Most of all be diligent and patient. Keep you eyes on the sky, tree line, ground, water, and even behind you because you never know what you will see next. Then just patiently wait and if you are prepare you will be ready to capture that next great shot.